The building blocks of the "smart home" -- connected lights, plugs and other gadgets -- have been around for years. But they were strung together by a variety of confusing protocols. It wasn't until Amazon's Echo and its accompanying Alexa virtual assistant came along that the smart home started to make sense. We didn't need just smart devices; we also needed voice controls and seamless interoperability between devices. Basically, we needed a proper smart home ecosystem. Google followed in Amazon's footsteps when it debuted its Home smart speaker and the Google Assistant two years ago. Sure, it wasn't exactly an original move, but it made sense. And Google also had plenty of advantages over Amazon: Its virtual assistant sits at the core of Android; it's not just trapped in an app (unless you're on iOS). Plus it's known for its AI and data expertise. Even though we weren't very impressed with Nest's IQ camera, it's still an intriguing attempt at implementing facial recognition in a consumer device. If anyone was going to give Amazon's ecosystem a run for its money, it was Google. With the new Pixel Stand, Google is also solving one of the biggest issues with wireless charging: making your phone useful while it's getting juiced up. (Normally your phone is left lying flat and useless on charging pads.) 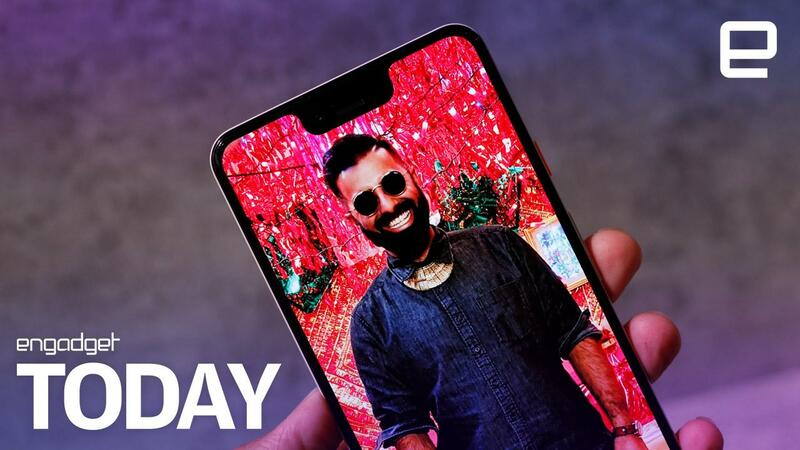 The Stand basically turns the Pixel 3 and 3 XL into mini smart displays, giving you easy access to the Google Assistant, your calendar and emails. With the new Home app, the phones can also serve as control pads for all of your smart gadgets, allowing you to quickly turn off the lights or change your home's temperature. 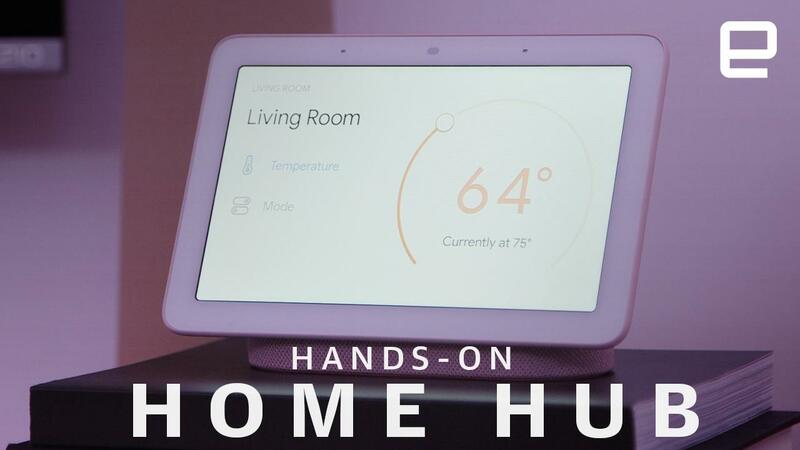 And, like the Home Hub, it can also serve up your Google Photo albums, as well as show you who's at the front door when they ring your Nest Hello video doorbell. The company is also bundling free premium subscriptions with some new products: You get six months of YouTube Premium with the Home Hub (a $60 value) and three months of YouTube TV with the Pixel Slate (a $120 value). While not directly smart-home-related, it's easy to see how these bundles help Google. They make the products seem like a better deal, and they get consumers hooked on new services. Once you're used to streaming recipe videos on YouTube without ads, it might be tough to drop the $10 monthly premium subscription when the trial ends. Finally, it feels like Google's smart home ecosystem is evolving into something serious. It's still playing catch-up to Amazon -- the Home Hub feels like an obvious Echo Show competitor -- but at least it's a solid competitor. The $230 Echo Show is significantly more expensive than the $149 Home Hub, so you can bet Amazon will retaliate with a price drop of its own eventually. And Google is also rounding out its ecosystem in more mundane but practical ways, like with the new "Made for Google" GE smart bulbs that work without any additional hubs. Products like those don't end up headlining any massive launch events, but they're still essential for keeping customers within Google's domain. Perhaps most important, Google is getting into the smart home market at the ground level. Purchasing decisions consumers make today will lock them into entire ecosystems for years, something Amazon learned very quickly. While Apple seems to be resting on its laurels when it comes to the smart home, Google is showing no signs of slowing down.